You are going to Watch Naruto Shippuden Episode 108 English dubbed online free episodes with HQ / high quality. Stream Anime Naruto Shippuden Episode 108 Online English dub Guidepost of the Camellia. Naruto and Guren help each other from the hungry mini Three-Tails as Rinji’s men attack Lee’s group. Yūkimaru and Kakashi devise a plan to track the Three-Tails with the boy’s power and get Naruto and Guren out. 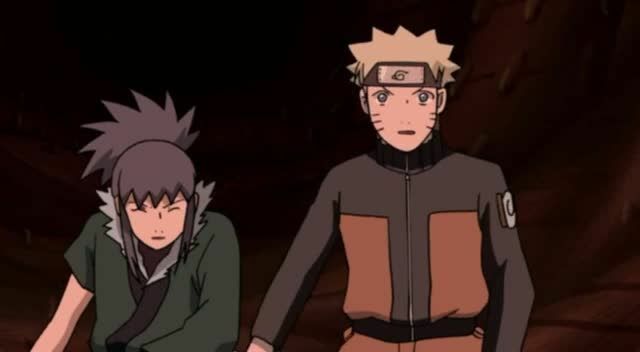 After Naruto and Guren escape from an illusion making fog, Naruto begins to realize Guren’s good intentions. Yūkimaru then plays the song his mother taught him right above where the Three-Tails is submerged and Kakashi makes a crack in the beast’s barrier; Naruto and Guren hear the tune and blast their way out.